Every person who stops by Tex-Scapes Nursery and Landscape will be treated to our family-style hospitality. Drive on in, and one of our friendly staff will come out and greet you. Whether you are looking for plants from our garden shop, professional landscape services, irrigation and drainage solutions, or just have a gardening question, we're here to help you out! Our award-winning customer service matches the quality of all our products. Learn more about our different services below, and feel free to contact us with specific questions. What does your yard or garden need? Take a stroll through our garden center and find what you're looking for among our large, hand-picked selection. Basically, we have everything you'll need! 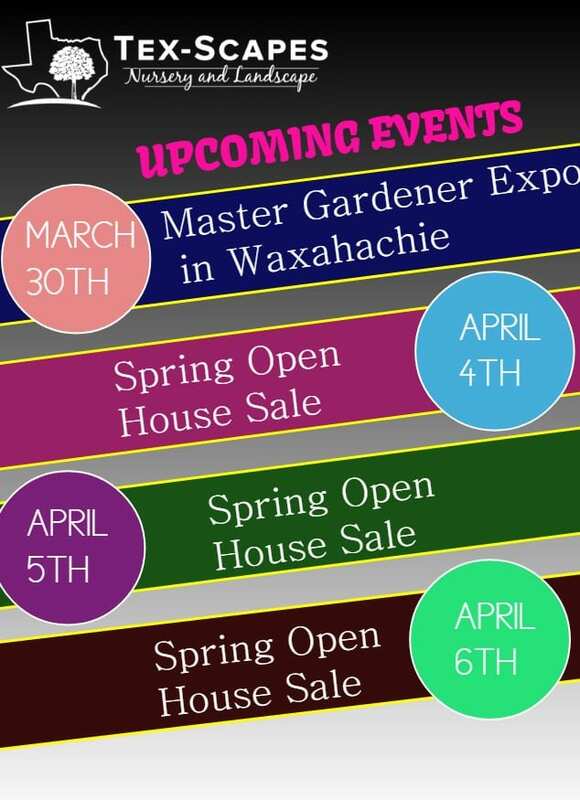 Tex-Scapes Nursery and Landscape is the only local year-round nursery and garden shop in Ennis, Texas. Our professional staff will help you find the right plants or products to meet your gardening or landscaping needs. Check back frequently to see what events and sales are coming up! From consultation to installation, our professionally-trained landscaping crews will guide you through your project. We aim to provide you excellent service while offering you nothing but the highest quality products. Whether you want to build a retaining wall or a patio, install sod, add a sprinkler system to your yard, or design your landscape with lights, we have the know-how to get it done right. Not sure which plants will work in your area? We know the North Texas landscape like the backs of our hands. Leave it to us; we will select the right plants for your property in the North Texas area. Our landscaping business provides services to area homes and commercial businesses. We are full service, which means we also trim trees, remove stumps, do grade work, and build walkways. If you have a landscaping problem, you've come to the right place to find a solution! Irrigation and Drainage Issues? We're Here to Help! We specialize in irrigation and drainage work. Our premier irrigation systems use only the highest quality products, which means you get the best that Texas can offer! Our work includes dirt work, grading, and underground drainage systems. Need a completely new installation? We can do that! Does your current system need repairs or add-ons? We can do that, too! Let our crews take care of your water problems. Established in 2004 as a landscape and irrigation business, owners Casey and Tiffany Hendrix grew Tex-Scapes Nursery and Landscape into an award-winning, full-service stop for all your landscaping and gardening needs. We pride ourselves on customer satisfaction. Our friendly staff is eager to help you find exactly what you need, whether it be from our full selection of perennials and annuals or our stock of beautiful fountains and pottery. 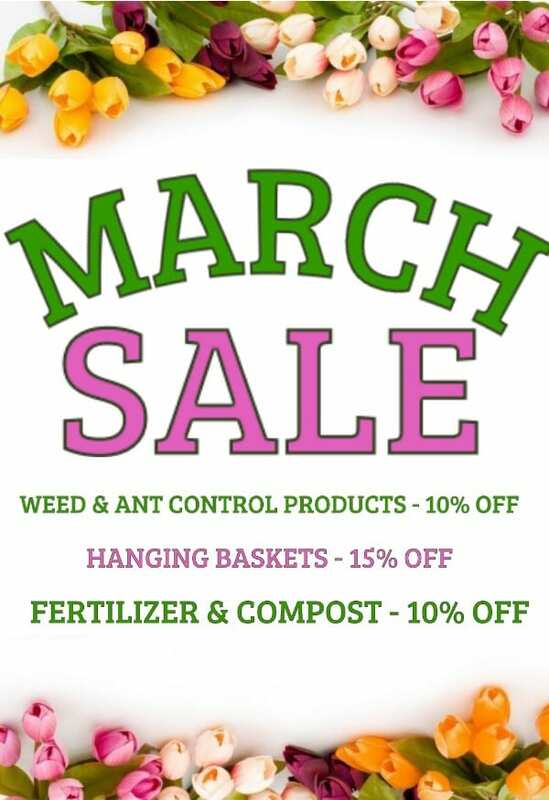 We welcome you to stop by and browse through our garden center, the only local garden shop open year round in Ennis, Texas! From the moment you drive into our parking lot, you are treated to Tex-Scapes Nursery and Landscape hospitality. One of our friendly staff will come up to greet you with a warm smile and a helpful hand. When you let us know your needs, we get right on top of it! Our style of personalized service includes getting one knowledgeable person to help you from start to finish. You won't get passed on from department to department. We not only help you find what you need, we will also help with loading and delivery. Can't believe what you're reading? Our top-notch service has won awards from the local newspaper, and we are also part of Texas Nursery and Landscape Association. Folks from all around the Ennis area know Tex-Scapes Nursery and Landscape is a local garden center with Texas-sized service to meet all your gardening and landscaping needs!